What you may not know about Westpark Fitness is that we have a team of almost forty staff to truly offer a premier fitness experience to our members. Built up of friendly and passionate people who simply love what they do, we really are your genuine fitness friends who help you achieve your fitness goals. Some of our members have even worked at Westpark Fitness for over twenty years. Learn more about the entire structure behind the scenes below. Comprising of both male and female personal trainers and class instructors; you are most likely to see members of the fitness team actively participating on the gym floor. They are here to help you reach your fitness goals and can help you use any of the equipment if ever you need assistance and support. Book in with any of them for an orientation to have some dedicated time to bring you closer to your goals with their expertise and guidance. With Ireland’s only stainless steel pool being in Westpark Fitness, we also have a dedicated lifeguard team who are based at it. Together they ensure the safety and wellbeing of all who use it. They also teach both adult and children swimming lessons at different levels. While the warmer water of our swimming pool can be enjoyed by all, we understand the safety concerns surrounding water and as such are proud to have a highly skilled and trained lifeguard team as part of Westpark Fitness. Current members and new members alike always comment on just how clean and hygienic the facilities and premises of Westpark Fitness constantly are. This is due to our hygiene team that work their magic to keep everything you see and everything you use constantly clean and a joy to use. Here at Westpark Fitness, we understand how a superior standard of hygiene is of the upmost importance within the overall fitness environment, changing room facilities and swimming pool area. 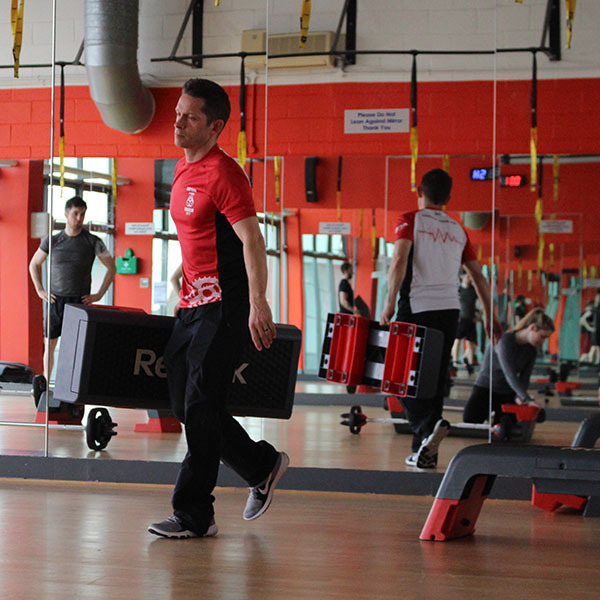 Members of Westpark Fitness can make use of our free car park onsite when they come to avail of anything and everything that our premier fitness facility in Tallaght has to offer. Our car park even has a dedicated team to make sure your vehicle and possessions are kept safe while you work away on your health and fitness goals. This is just one of the many ways in which everything about Westpark Fitness is structured to offer you a truly premier experience as soon as you come to our facilities. Our friendly and helpful receptionists are usually the first team members you see when you come to Westpark Fitness. Always happy to help you with any of your questions and queries, if they cannot help you they will be able to get the relevant team member(s) who can. They are also available by phone for when you want to double-check a class time or check opening hours etc. – there is no query too big or too small that they can’t assist you with. When it comes to your membership details, the membership team exist to help you with anything you need. From new members looking to join Westpark Fitness, current members wishing to renew, anyone wishing to change their membership type and more; they can advise on the best options and best solutions for your needs. They are also very knowledgeable about all of our classes, equipment, and overall facilities so that they are able to match your goals to our premier fitness offering. With so many moving parts at play, management keep everything running smoothly at all times. Approachable by both staff and members alike, the management team are also passionate about health and wellbeing and work to maintain the premier fitness and premier facilities expectations of our members. They also work to ensure you have the best access to the likes of aesthetic treatments, dining options, supplements and more as part of Westpark Fitness. As you can imagine, a team of this size and dedication makes for a premier fitness facility that is designed to help you reach your fitness goals. Indeed we at Westpark Fitness can be seen as your fitness friends at every stage of your fitness journey. Click / Tap here to book a tour where you can meet some of us and explore the premier fitness offering at Westpark Fitness.